The American Heart Association (AHA) Training Center at Appalachian Regional Healthcare System (ARHS) serves our employees by providing training in basic and advanced life support. In 2011, our Training Center had the opportunity to reach over 4,300 students. The American Heart Association’s mission is to build healthier lives, free of cardiovascular diseases and stroke. ARHS Training Center supports the AHA mission and goals through administrative, educational, and quality assurance support of its AHA instructors. The ARHS Training Center also supports the health care system’s mission and vision through the provision of quality AHA classes to health care professionals, to the community, and by educating and informing the AHA instructors on new skills or AHA programs. Training Center Downloads – The following items are posted here to assist ARHS AHA Instructors. ARHS Leadership Development refers to the facilitation the professional growth for current and prospective leaders through mission-driven and goal-oriented learning opportunities. Mission – The mission of ARHS Leadership Development is to create learning opportunities that equip and align leaders and prospective leaders for breakthrough achievement to move ARHS toward intentional results. For additional information regarding Leadership Development, contact Cindy Fuller at cfuller@apprhs.org or 828-262-4102. Welcome to Appalachian Regional Healthcare System. We are excited you have chosen ARHS as your place of employment. The following links are resources to assist you in navigating our healthcare system. We are excited to announce that ARHS is the first healthcare system in North Carolina to implement the American Heart Association Resuscitation Quality Improvement (RQI)® program is live as of 1/1/17! The scientific community has reached consensus that poor quality CPR leads to poor patient outcomes, creating a “preventable harm” to the patient, and that, “it is clear that high quality CPR is the critical component in influencing survival from cardiac arrest.”1 Numerous research findings have also revealed and confirmed that psychomotor skills, such as CPR, decay rapidly after initial training. As a result of this landmark research, achieving and maintaining skills mastery in high quality CPR is now faster and easier than ever before. Our patients and their families deserve the best possible care, and our newly adopted training solution facilitates that by saving time, headaches, and, most importantly, patients’ lives. The American Heart Association’s Resuscitation Quality Improvement® Program (AHA RQI® Program) provides a comprehensive learning system to address the problem of rapid skills decay. With ARHS’s adoption of the AHA RQI Program, you’ll never sit through an all-day CPR recertification course again. Using a “low dose, high frequency” model you will keep your CPR skills sharp by practicing them every quarter. As long as you successfully complete all assignments, your AHA completion card expiration will automatically advance. 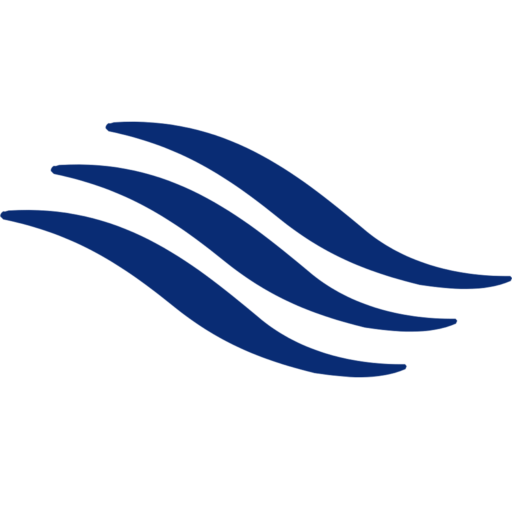 The online courses will be accessed through the Healthstream learning platform. Click here to login to Healthstream. Once you are successfully logged in, you will see the available course modules. Your initial login will be your email username and password is password1. If you have assignments posted, then you are enrolled in the RQI program. Remember all manikin activities must be completed at an RQI skills station. For each skill tested, you will see a short video reminding you what is expected in that module. A passing score is 75%, and you have unlimited attempts to practice your manikin activities to achieve a 75% or better. If you have not completed your manikin skills activities during the assigned time you will receive daily alert email reminders. You must have at least 6 months remaining on your BLS and/or ACLS card in order to be enrolled in the RQI program. If you are classified as requiring both BLS and ACLS for your job, BOTH cards must have at least 6 months remaining in order to be enrolled into RQI. You cannot be enrolled in one without the other. If you have less than 6 months on your card(s), you will need to take renewal class(es) prior to becoming enrolled in RQI. Once you have renewed, please send us your new expiration date(s) so we can update our records for your enrollment. If you have further questions regarding your enrollment, please contact Cindy Fuller at (828) 262-4102 or cfuller@apprhs.org. 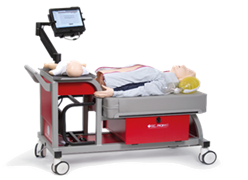 All manikin activities must be completed at an RQI skills cart. Upon completion of your quarterly manikin activities, your expiration date will extend 3 months. As long as you successfully complete all assignments, you expiration will automatically advance without expiration. If you need a hard copy of your AHA card, it can be printed from any computer. PALS cannot be done via RQI at this time. If you need to recertify your initial training, the RQI program offers the option of doing BLS Complete or ACLS Complete. These courses are a one-time course that updates the learner’s certification for 2 years prior to entry into the RQI program. Still have questions or need assistance? We are here to help! Contact a member of your Learning Center Team or call 262-4101. Below is a compiled list of nursing resources commonly used. Please feel free to use these at your convenience.